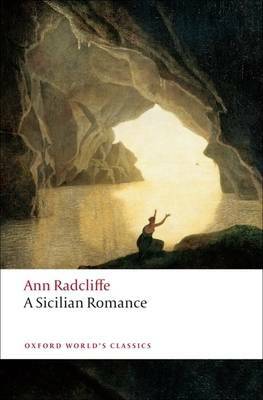 In A Sicilian Romance (1790) Radcliffe began to forge the unique mixture of the psychology of terror and poetic description that would make her the great exemplar of the Gothic nove, and the idol of the Romantics. This early novel explores the cavernous landscapes and labyrinthine passages of Sicily's castles and covents to reveal the shameful secrets of its all-powerful aristocracy. Julia and Emilia Mazzini live secluded in an ancient mansion near the Straits of Messina. After their father's return to the island a neglected part of the house is haunted by a series of mysterious sights and sounds. The origin of these hauntings is only discovered after a series of breathless pursuits through dreamlike pastoral landscapes. When revelation finally comes, it forces the heroines to challenge the united forces of religious and patriarchal authority. ABOUT THE SERIES: For over 100 years Oxford World's Classics has made available the widest range of literature from around the globe. Each affordable volume reflects Oxford's commitment to scholarship, providing the most accurate text plus a wealth of other valuable features, including expert introductions by leading authorities, helpful notes to clarify the text, up-to-date bibliographies for further study, and much more.